We operate in all sectors of the market, using modern and traditional skills to produce a vast range of chilled and frozen seafood, from luxury shellfish to family fish meals. And everything we do is driven by our passion for fish as one of the world's healthiest and most delicious foods. Our Spey Valley Smokehouse has been practising the art of curing and smoking salmon for generations using the same age old methods. People from all over the world visit our Smokehouse, deep in the heart of the picturesque Spey Valley. 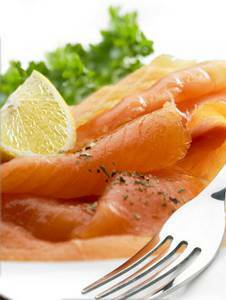 We are renowned for the creation of Smoked Salmon just as it should be. The specialist knowledge of our highly experienced and dedicated team, led by Jack, our master smoker, has been used to create what we believe is the world's best smoked salmon. The history of salmon smoking in the Spey Valley has been preserved with traditional smoking methods that have been handed down from generation to generation. The Smokehouse has taken advantage of its beautiful Highland environment and infused it with history, tradition and specialized techniques to produce the very finest Scottish Smoked Salmon. At the Fourth Open SEAFOODplus Conference 5-6 June 2007 in Bilbao, Spain, the Certificate of Associate Membership was presented to Mr. Steve Lamming of the Young's Seafood company.